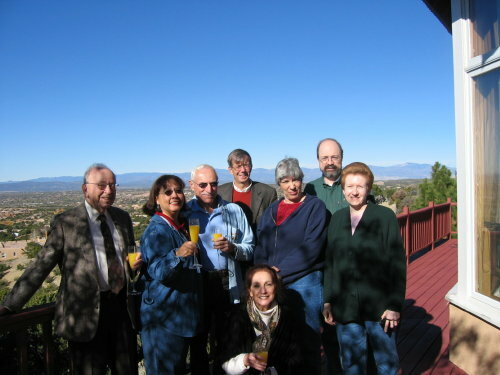 The 2004 reunion was held in Santa Fe, New Mexico with Margo and Harvey Taylor hosting. We were joined by Herb Sacher and first timers Steve Curry (Susan's husband) and their friends Erroll and Susan Booker from CA. 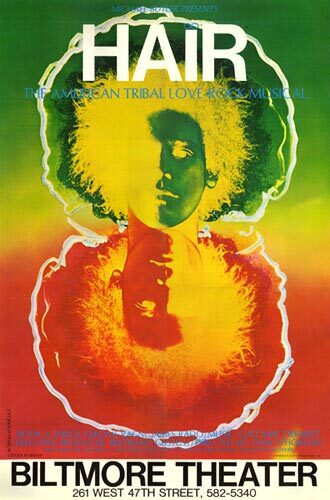 Steve and Erroll starred together in HAIR, on Broadway, in the old days in NYC (if you still have the album, check the cover-Steve will be there) as the photos below attest. 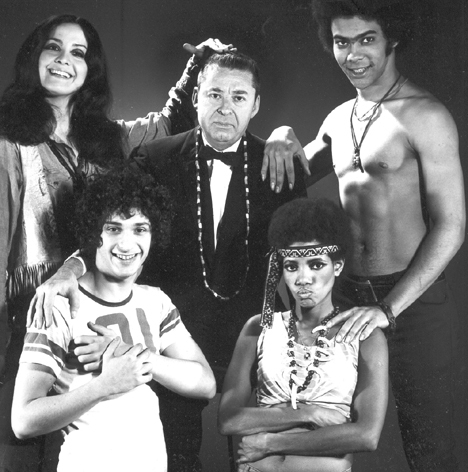 Steve is shown as part of the Curry/Diane Keaton/Barry McGuire sandwich (You remember Barry "Eve of Destruction" McGuire ) and Erroll is shown with cast member Melba Moore. Just like us Hell's Kitchen kids, their friendship has not waned a bit ! 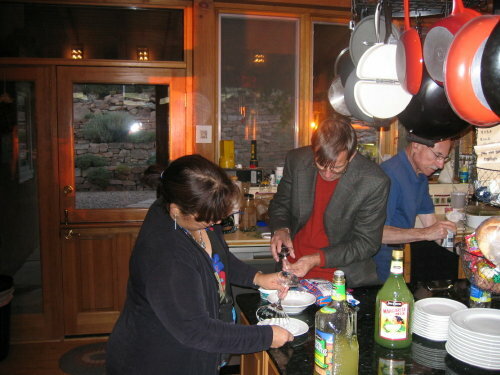 Margo cooked us a great dinner Friday night. On Saturday, we did the tourist thing, shopping at the Flea Market and visiting the Museum of Indian Arts and Culture. 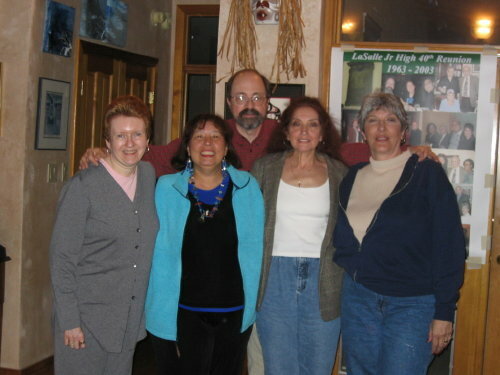 Saturday night, dinner was at the O'Keeffe Cafe. All 3 days, a LOT of shopping was done! 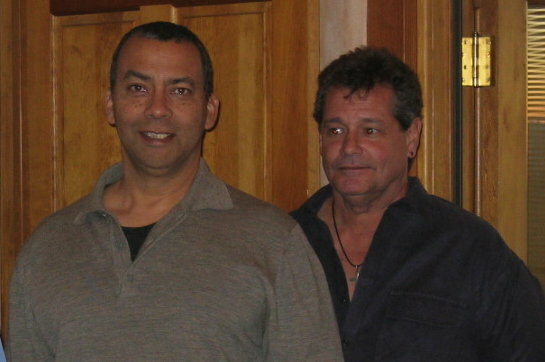 Phil brought home a rug for his living room (that he picked out with Paul), Kathy went home with new jewelry (Margo called the owner to open the store, to seal the sale on Sunday), Herb Sacher bought a steer skull, and then wondered how he would get it home (he shipped it UPS!) and Susan and Steve went home with a homestead (they bought some land an hour south, in Truth or Consequences, NM to retire to). To the left we see Herb enjoying a mimosa with his 9-1 homeroom "kids". 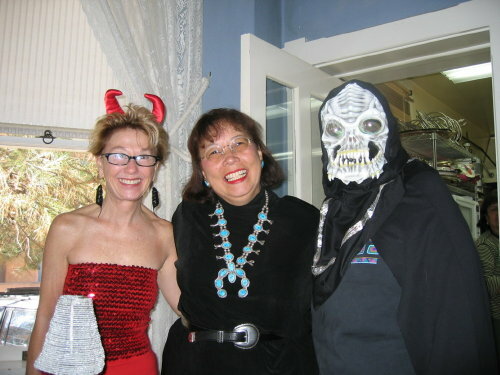 On Sunday morning, we had a "Halloween Farewell Brunch" at The Grant Corner Inn with Margo and her ghoulish friends !